Appartement Louvre is set in the centre of Paris, a 10-minute walk from the Louvre Museum and the River Seine. It offers free Wi-Fi access and a washing machine. The apartment is set over 2 levels and features 2 bedrooms. Located in Paris, Duplex Paris is 600 metres from the Louvre Museum and 800 metres from the Pompidou Centre. This self-catering apartment offers free Wi-Fi, an iPod docking station and a flat-screen TV with satellite channels. Located in the centre of Paris, Villa du Louvre is 400 metres from the Tuileries Garden and 600 metres from the Louvre Museum. This self-catering apartment offers air conditioning and free Wi-Fi access. Sweet Inn Apartments - Rue Du Cygne offers self-catering apartments set in several locations in the 1st arrondissement of Paris. It is only 400 metres from Pompidou Centre and 800 metres from the Louvre Museum. Located in the 1st district of Paris, Apartment Louvre offers a self-catering accommodation featuring a furnished balcony and free Wi-Fi. 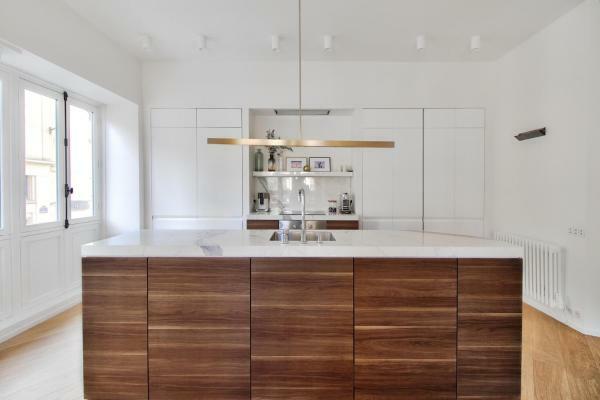 The property is 550 metres from Louvre Museum and 350 metres from Palais Royal. Situated 600 metres from Pompidou Centre and a 9-minute walk from Louvre Museum, Lovely Studio Center of Paris offers accommodation located in Paris. The Notre Dame Cathedral is within 1.2 km of the apartment. 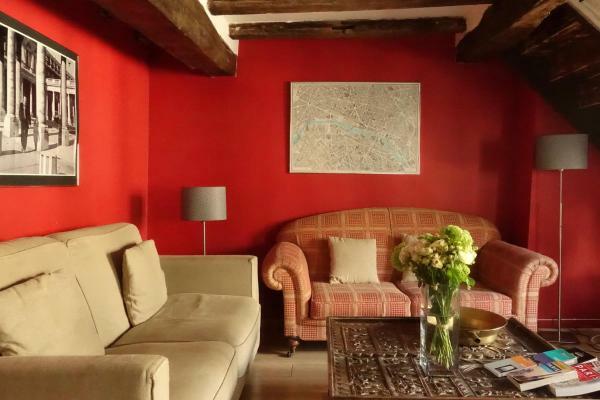 Loft Le Pont Neuf offers accommodation in Paris, a 6-minute walk from Louvre Museum. 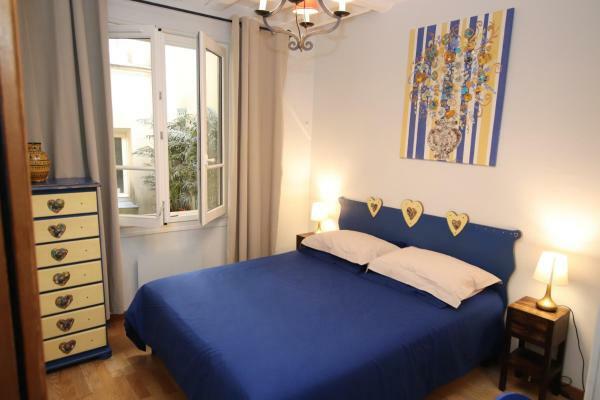 It is situated 600 metres from Pompidou Centre and provides free Wi-Fi. Le Lavandier flat enjoys a location in Paris, just 600 metres from Pompidou Centre and an 8-minute walk from Louvre Museum. Guests may enjoy free Wi-Fi. The apartment includes a kitchen with a microwave and a fridge, as well as a coffee machine. 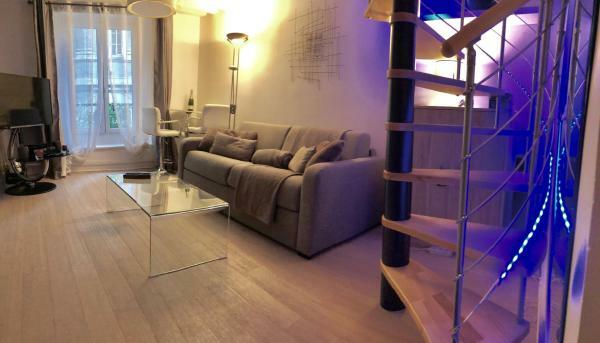 Appartement Clair Et Lumineux in Paris offers accommodation with free Wi-Fi, 400 metres from Pompidou Centre, 700 metres from Notre Dame Cathedral and a 9-minute walk from Louvre Museum. This apartment is an 18-minute walk from Tuileries Garden and 1. Just a 6-minute walk from Louvre Museum and 600 metres from Pompidou Centre and featuring free Wi-Fi, 2 Bedroom Apartment Louvre Museum offers accommodation in Paris. 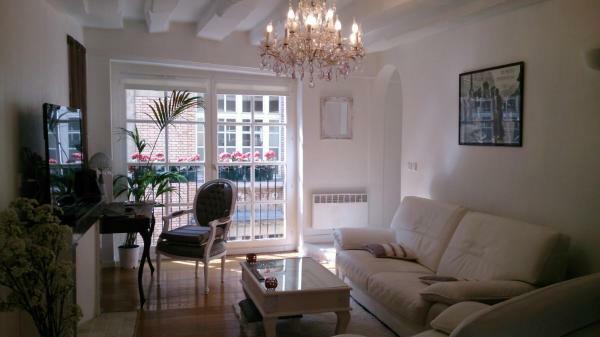 This apartment is 900 metres from Notre Dame Cathedral. Apartment Paris 1° centre - Louvre is an apartment set in Paris, 500 metres from Louvre Museum. The apartment is 900 metres from Tuileries Garden. Free Wi-Fi is offered throughout the property.